I love love love ice cream… seriously, it’s a problem! The one bad thing about my love for ice cream is that I am allergic to dairy. Yea it makes me rashy and I start coughing, but I usually don’t care and eat it anyway ha! Well I thought of making coconut ice cream a long time ago and never got around to it! Until now, and man have I been missing out! This stuff is delicious and creamy. I don’t feel like I am missing something like I usually do with fake ice cream. My hubs and I love ice cream so much that we usually don’t have any in our house. Your probably thinking that doesn’t make sense…. But if it’s in the house we would eat all of it. So by not having it in the house it makes us eat way less ice cream, and when we do want some we have to leave our house and go get it (and we are lazy a lot and don’t want to make the trip). See totally makes sense… to us it does anyway. This ice cream is way too yummy not to make and keep around. So sorry hubs this is going to have to be a staple this summer!! By the way it was 90 something degrees today. Sad to say I think spring is way behind us now and horribly hot souther Illinois summers have arrived! 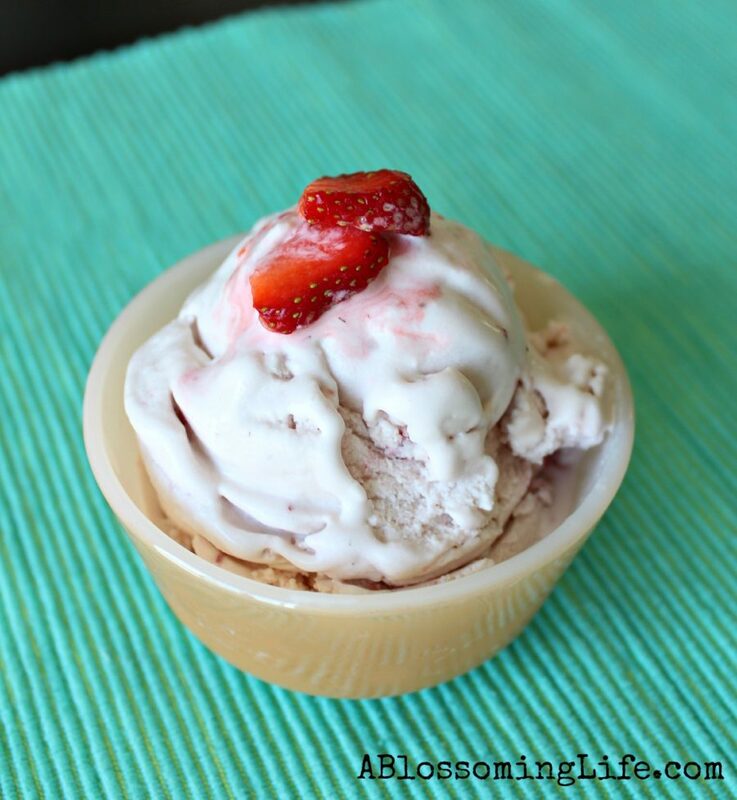 This is a delicious and creamy vegan ice cream that is perfect for the summer! 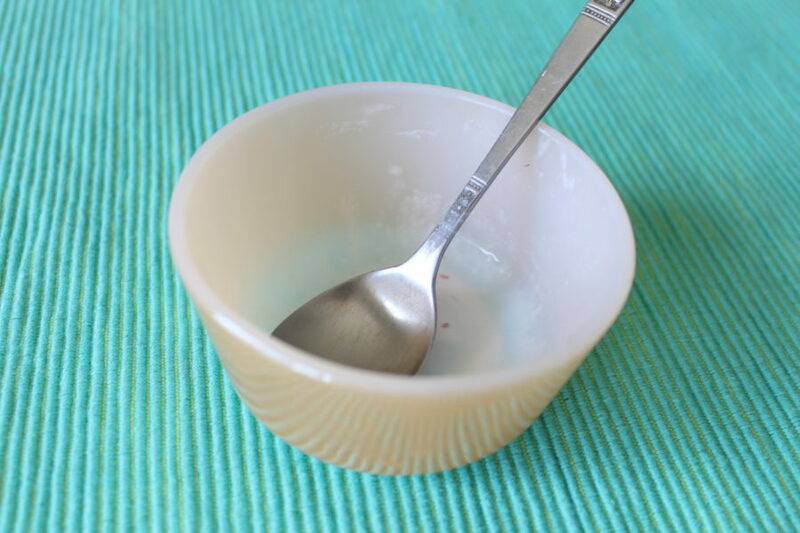 In a bowl, mix together coconut milk, brown sugar, dash of salt, and vanilla extract until the sugar has dissolved. Place mixture in the fridge to cool for at least one hour. Rinse and cut off the tops of the strawberries. Smash strawberries in a separate bowl with potato masher or in a blender. Following the directions of your ice cream maker, slowly add your coconut milk mixture into the ice cream maker until it doubles in size (around 20 minutes). Add in mashed strawberries until well combined. Eat right away or freeze for later (if it lasts that long). I could barely stop myself from eating the entire container of this yummy ice cream! My husband even loved it and doesn’t like the taste of coconut! Score! Yummmm! What is your favorite sweet treat during the summer? My mom used to make coconut milk ice cream. Strawberries sound yum. Will be trying this! This recipe sounds great, however would you tell the measurement for the can of coconut milk that you are using? I have coconut concentrate that I will make coconut milk from instead of from a can. My local store sells it in small cartons. Just need to know the portions that I will need for this yummy recipee. This looks downright amazing! 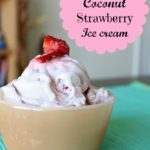 My husband loves anything to do with coconut so I love to find new ways to use it! This is the perfect way, gonna have to borrow an ice cream maker…or this might be the perfect excuse to buy one! Thanks for sharing! YUM! 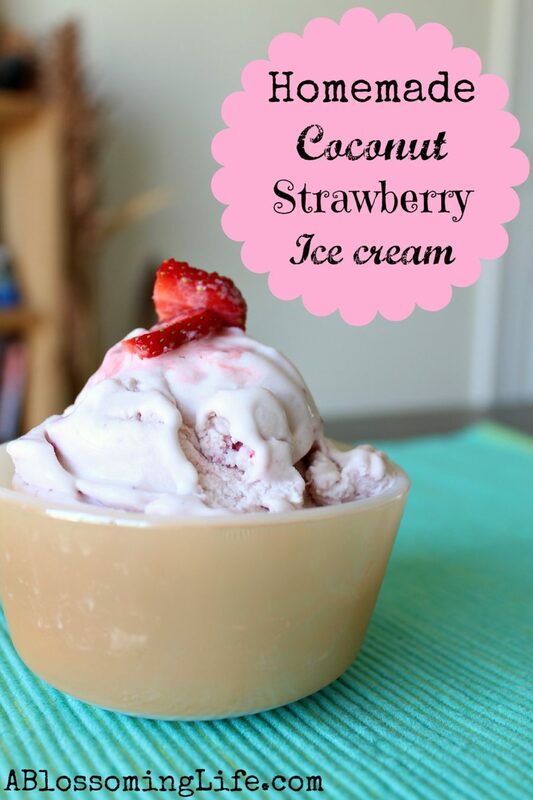 I love anything with coconut and strawberries!! Thanks for sharing this yummy coconut milk ice cream recipe. Oh yeah this sounds amazing! 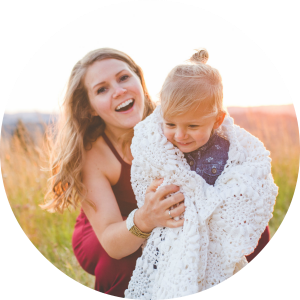 We are hosting an extra special month long linky party through all of July focusing on frozen Summertime treats and we would love for you to join us! The best part is there is also an amazing GIVEAWAY! To get in on the action please visit us at We Scream for Ice Cream Linky Party + GIVEAWAY! Live from July 1st until July 30th. Hosted by: Dana @ This Silly Girl’s Life & Parrish @ Life with the Crust Cut Off We hope to see you there! Amy, this ice cream looks like perfection!! I can picture sitting out on my back porch beating the heat by eating this deliciousness! Thanks so much for sharing the recipe! Thanks for the invite Ruth! Just joined your fabulous party! I do have a question, it was asked above & I don’t think it was answered, how many ounces of coconut milk is used? We have different can sizes at my grocery too. Thanks and this is a darling Blog!! Sorry about that I should’ve been more clear! I don’t have a can with me but it is the size of a small soup can I think it is around 13 ounces! I only have seen one size can I didn’t know they made bigger ones lol! Oops! Hah your funny! I have been told sugar is vegan if you use organic sugar? Is that sound logic lol?